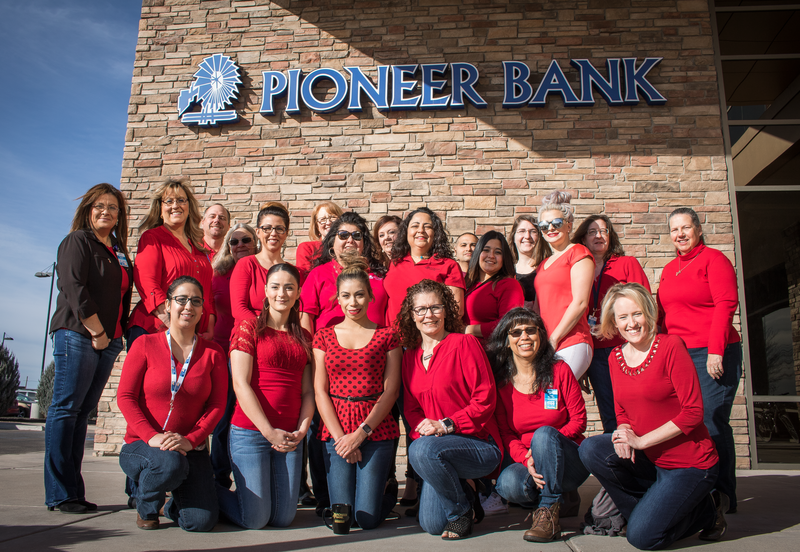 Pioneer Bank goes “red” for heart health. 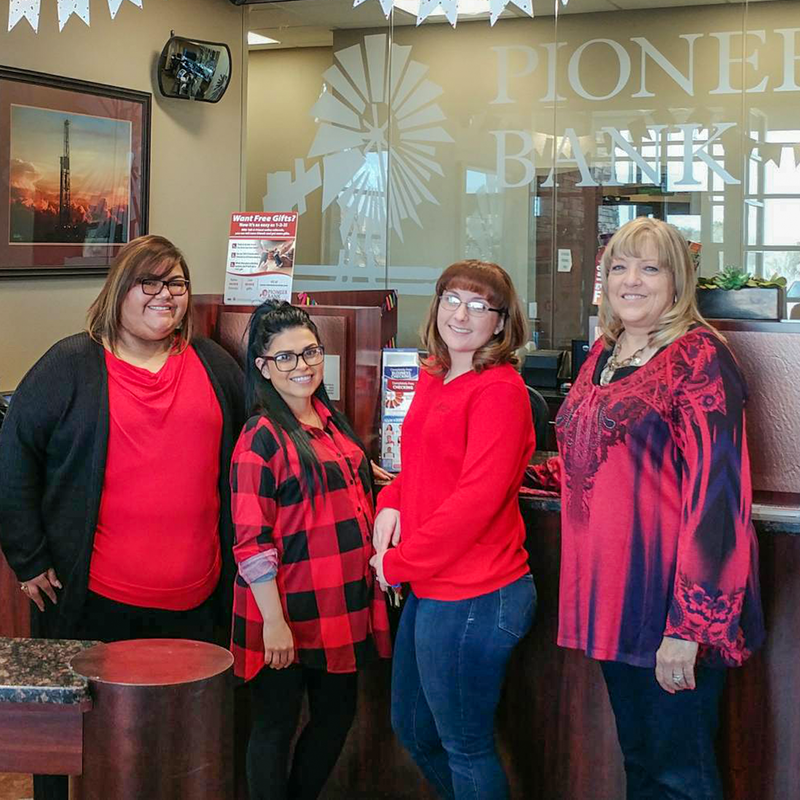 Pioneer Bank team members were proud to show their support for Heart Health Month and Wear Red Day by sporting their red today. 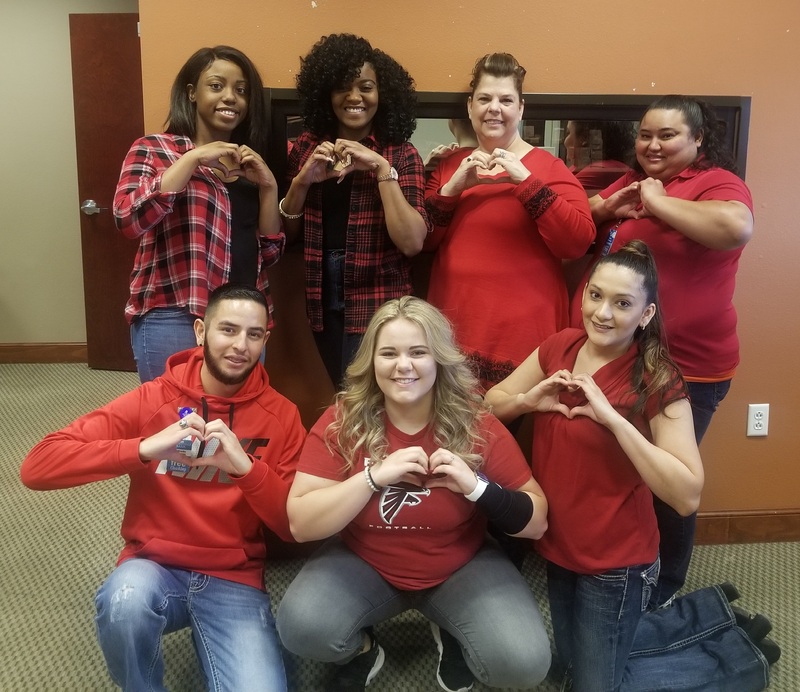 Our branches across New Mexico and Texas employees wore red to encourage awareness of heart disease. 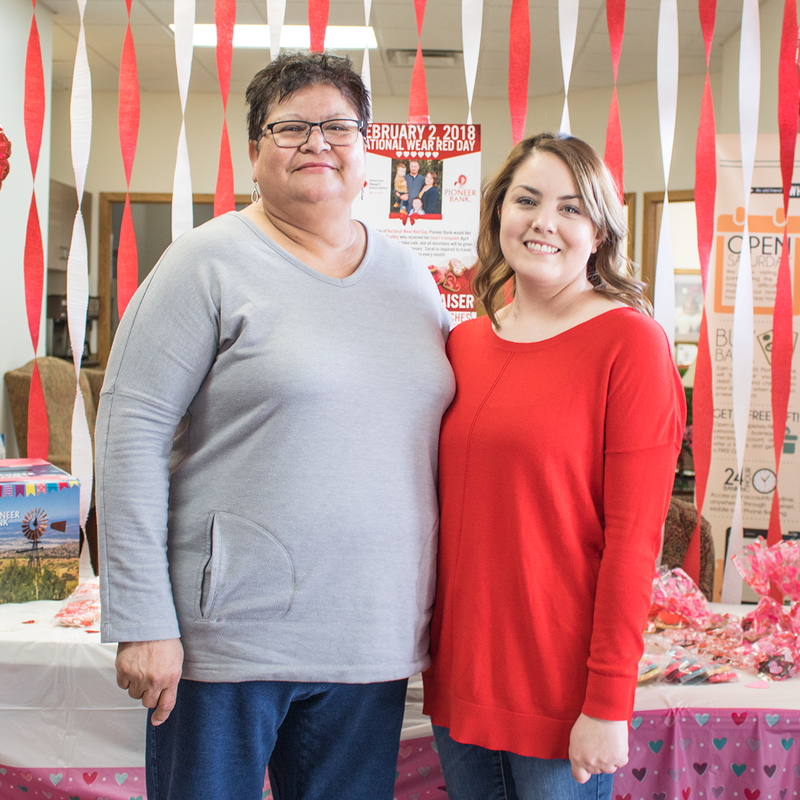 In Roswell, our branches held a bake sale fundraiser to help Sarah Bradley with expenses for checkups. Sarah received her heart transplant April 2017. All donations will be given to the Bradleys to help with expenses. Sarah is required to travel to Arizona for checkups every month. 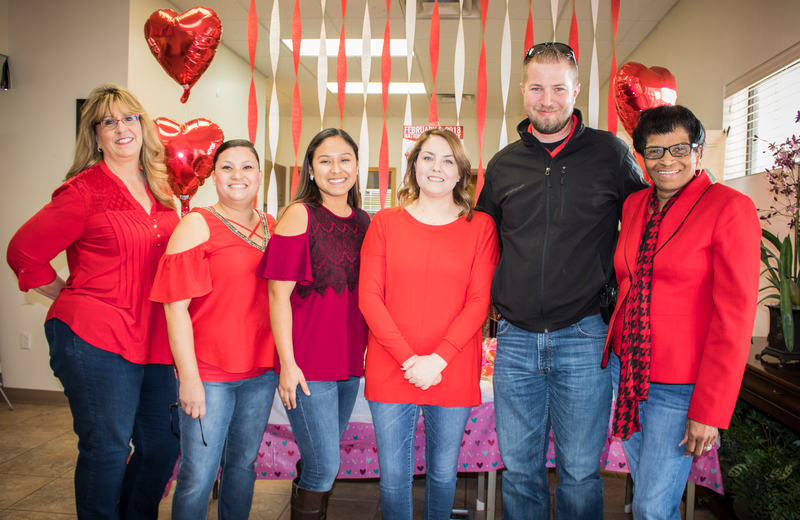 Roswell team members Denise Wilson, Yvonne Aldana, Anna Romero and Carolyn Bell (far right) take a photo with Sarah and Chris Bradley. 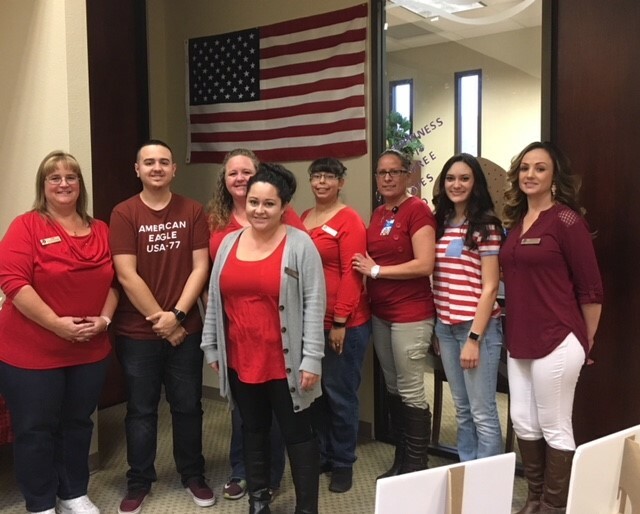 Our Alamogordo team in their red. Roswell St. Mary’s Branch team member, Paula Matta’s mother, takes a photo with Sarah Bradley. Paula’s mom baked many items for the bake sale. 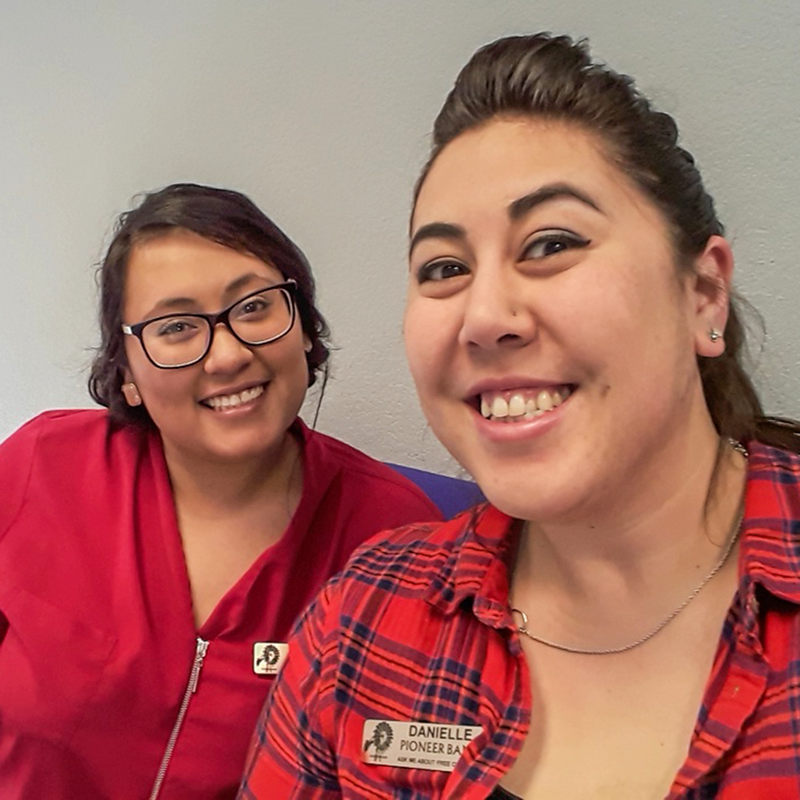 Tags: bestbank, community, heartdisease, hearthealth, wearredday. Bookmark the permalink. Previous post ← Four winners – $500 each!